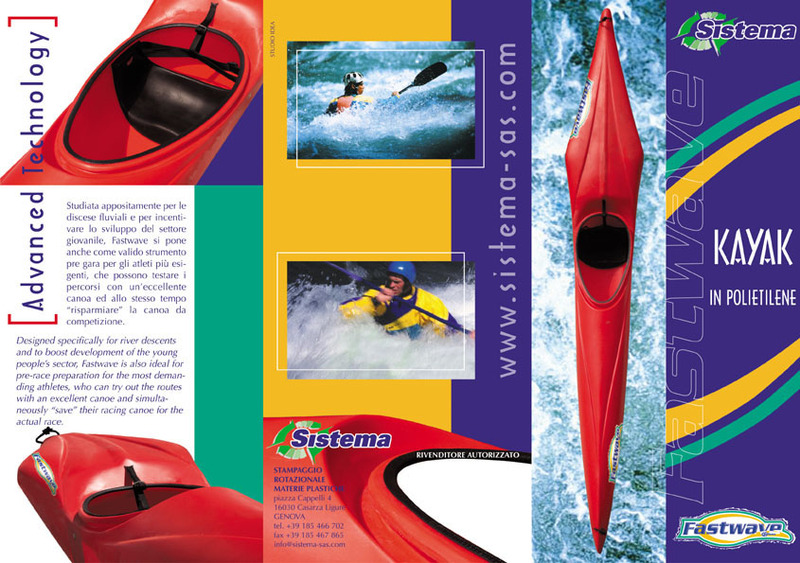 Chris Hipgrave has announced he has reached an import agreement with Sistema (www.sistema-sas.com) of Genova, Italy to import their roto-molded racing kayak called the "Fastwave" into North America. This agreement follows almost two months of dialogue initiated by Hipgrave concerning the feasibility of such an agreement. 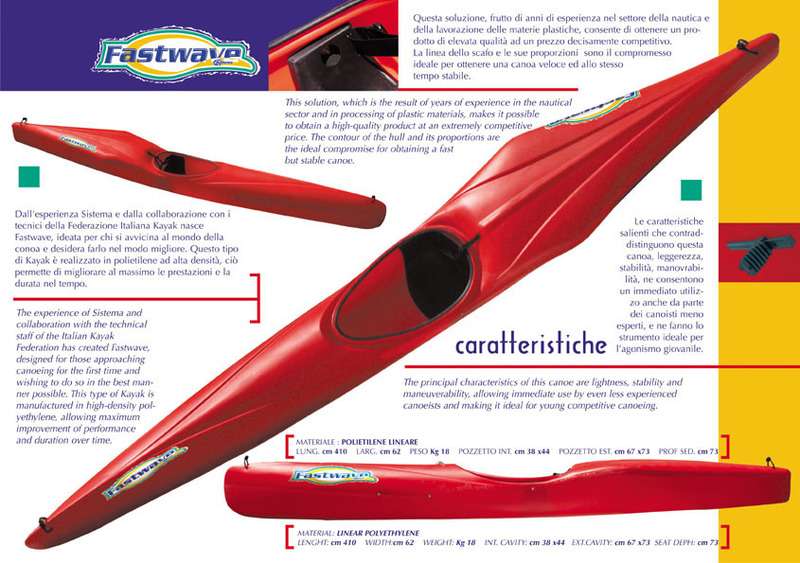 The Fastwave is a roto-molded down river racing kayak designed with the help of the Italian Canoe and Kayak Federation (FICK) as a faster, more technically- oriented answer to Perception's Wavehopper that is no longer available in the USA. Chris Hipgrave had the following to say: "I'm pleased we were able to reach an agreement with Sistema. The Fastwave is significantly faster than anything else in plastic and closely resembles the way a true wildwater kayak handles on the water. Our hope is that this boat will make down river racing available to a wider audience in a maintenance free platform thus encouraging more competitions and more competitors." A portion of the sale price will go to support wildwater racing,coaching and support in the USA. Wildwater is a non-Olympic discipline governed in the USA under the umbrella of USA Canoe & Kayak of Charlotte, NC. Chris Hipgrave is the South East Sales Rep for Liquidlogic and Bell Canoe, among others. He has been a member of the USA Wildwater Team since 1997 and is the current USA National Champion. A past Executive Director of the Nantahala Racing Club, Hipgrave now serves on the USACK Wildwater Committee. Michael Beavers is editor of USAWildwater.com and a C-1 Wildwater athlete training in Atlanta, GA. Reach him at michaelbeavers@attbi.com.